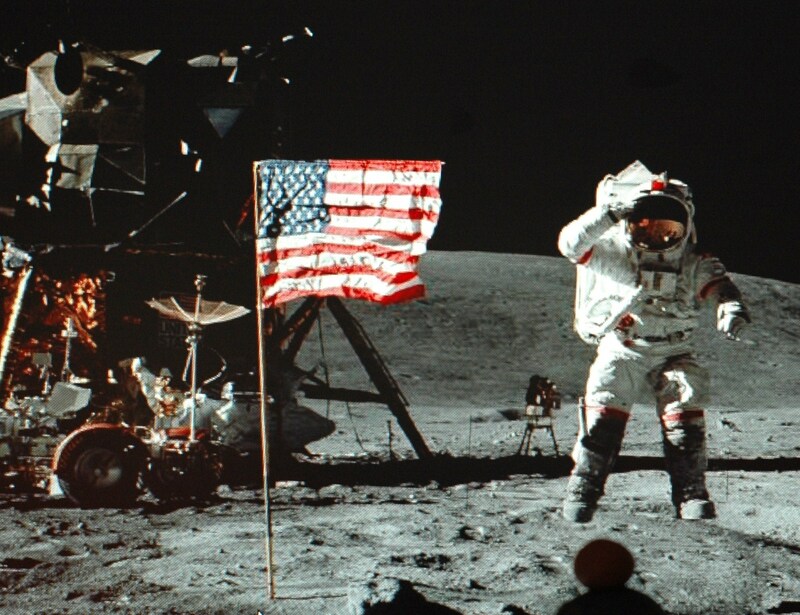 Today is the 47th anniversary of man’s first landing on the moon on July 20, 1969. Apollo 11 astronauts Neil Armstrong and Edwin “Buzz” Aldrin landed on the lunar surface, studying and researching the moon for about 21 hours. The moment that Eagle Scout Neil Armstrong first stepped foot onto the moon’s surface was watched by more than 500 million people around the world. For all you that weren’t born yet, check out the video below to see the landing as they saw it back in 1969. The quote you hear in the video by Neil Armstrong, “One small step for a man; one giant leap for mankind,” has gone on to become one of the most famous sayings of all-time. 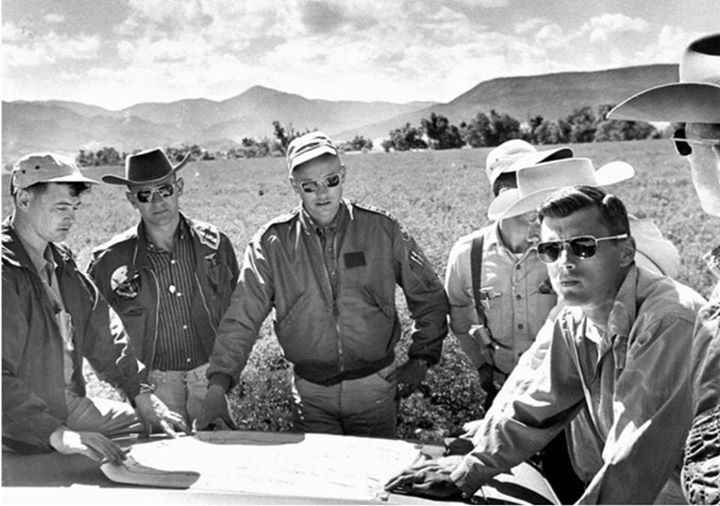 James Lovell (Apollo 8 & 13), Neil Armstrong (Apollo 11), Alan Bean (Apollo 12), and Roger Chaffee (Apollo 1) prepare at Philmont Scout Ranch. Did you know that NASA once sent astronauts to Philmont Scout Ranch (one of the BSA’s four high-adventure bases) for pre-mission training. Why Philmont? Thanks to its abundance of geological formations, NASA hoped to introduce its astronauts to geological formations they may encounter on the moon. The Moon is 250,000 miles from Earth. There is no wind or weather on the moon. The Moon is not a light source, and it doesn’t make its own light. The moon reflects light from the sun. Because the thought of landing on the moon was so unimaginable, many people thought the video was actually fake. Legendary scientist Galileo Galilei was the first person to make accurate maps of the moon. He didn’t invent the first telescope, but by 1609 he perfected a version that could magnify objects up to 20 times. The Moon goes round the Earth every 27.3 days. psst he said on GIANT leap for mankind. just for clarification.